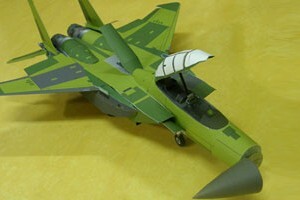 Kim done it again, still with the original templates of Paper Replika F-15 model kit, he recolored it again with an assembly production pre-painted green color scheme. He was not mention anything specific about this new recolor template except he said it is a F-15 in production, but I think he got the idea from a news about final assembly of the first Korean F-15K that was done by Boeing in St. Louis USA, on June 1st 2004. In one of the photo there's a maintenance stair beside this aircraft model kit, well unfortunately it is not included in the templates, but he include the AESA radar dome on F-15K nose. 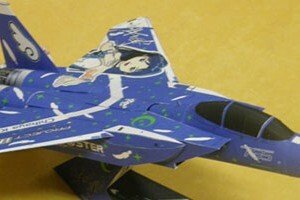 F-15SE Silent Eagle paper craft model kit templates recolored by Kim (South Korea). When I received this file from him my first impression was, good we have another version of F-15, but it changed until I found out this "The Silent Eagle", this is F-15 with stealth capablity, wow! 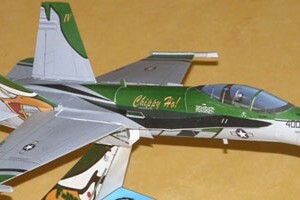 the distinctive change is on vertical fins, Silent Eagle has angled vertical fins. F-15SE also has missiles inside its body just like the fifth generation stealth fighter but with lower cost. 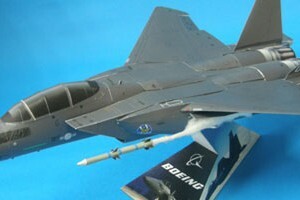 F-15SE is not yet use by United States or other country it is still under development. 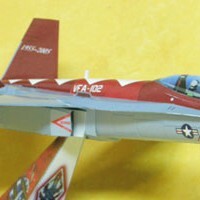 Photos below are F-15SE paper scale model build by Kim.